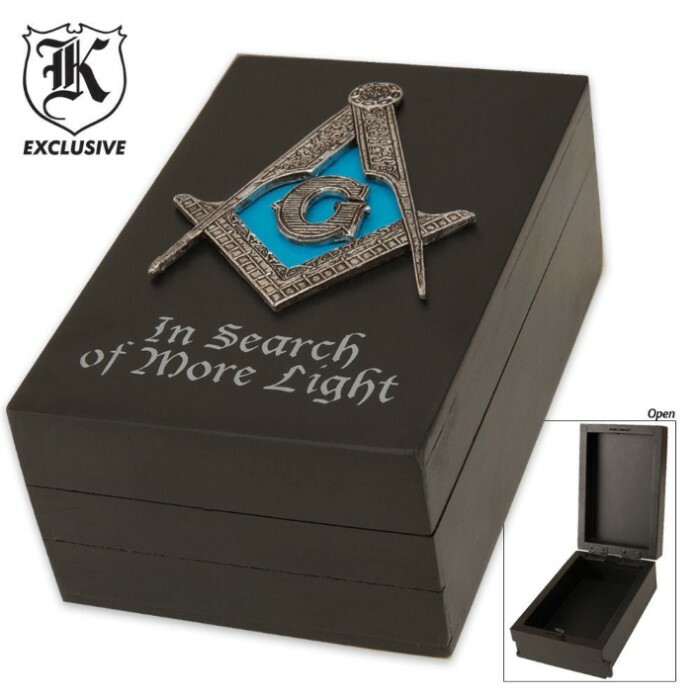 Masonic Desk Décor Trinket Box | BUDK.com - Knives & Swords At The Lowest Prices! This black wooden trinket box is the perfect place to safeguard all of your treasures! Only you will know how to get to your treasures that are stored inside! The top of the box features a and bears the words “In Search of More Light." Measures approximately 5 ¾" x 3 ¾" x 2 ½" overall.